Coming to you from Star Wars Celebration Chicago! Hear all about our second day, the trailer reveal, seeing all the stars live, and more! I'll be adding a ton of photos and links for this episode to our website at a later date, but for now have a good listen! We're back with a full(er)-sized episode! From Resistance to Galaxy's Edge to Celebration and a bunch of places in between ... it's no moon, it's a big ol' episode of Children of the Force! From Evan: What’s the name of the species who built Jabba’s palace? It's the Return of the Mini-Cast! We haven't had one of these since May, 2016! This time around, three year old Emma makes her triumphant debut on the show! We talk about lightsabers, stormtroopers, and that time she watched Star Wars way back when she was fifteen years old. It's a fun little episode. Enjoy! 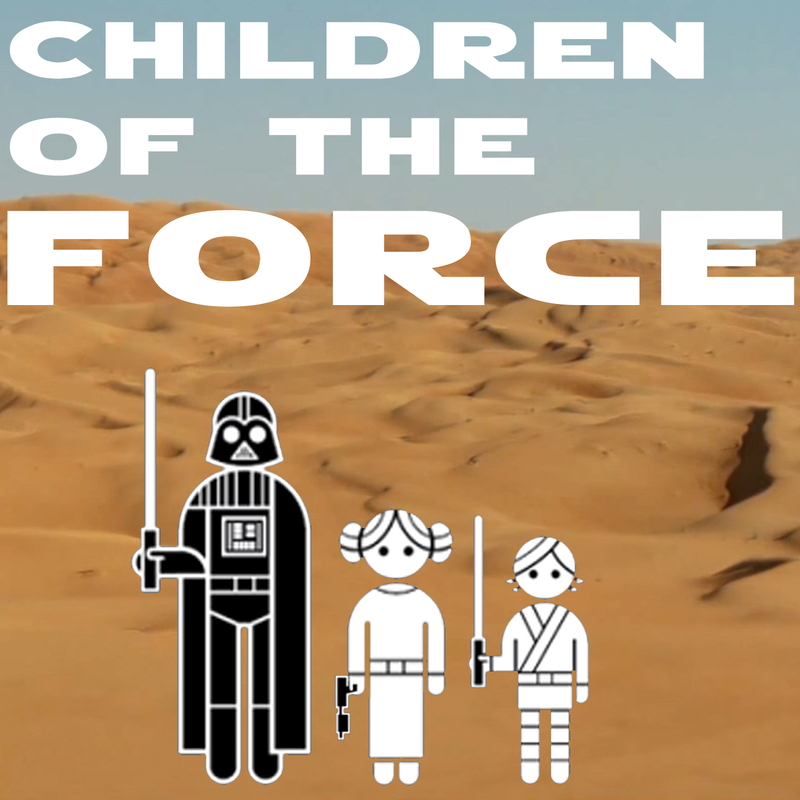 Children of the Force #125 - Science Museum of MN’s Star Wars Day! Thanks to everyone for coming on the show! Thanks to Jenn from the 501st for organizing all of us. And thanks to the Science Museum of Minnesota for putting on such an awesome event. Principle photography has wrapped on Episode IX, Triple Force Friday his going to hit us like a ton of Star Wars, Krennic and Tarkin didn't like each other much, and a bunch of other stuff! Welcome to Children of the Force! We watched the Resistance episode, The Core Problem. Good episode! The Lego Movie 2 is stuck inside our hea-a-a-a-ad. Principle photography has wrapped on Episode IX. JJ Abrams and Victoria Mahoney tweeted about it. Triple Force Friday is going to give us the goods. Those Benioff and Weiss movies are probably a trilogy. Yeah, but how did Tarkin and Krennic really feel about each other? We discuss Pablo Hidalgo’s short story in From a Certain Point of View, On the Verge of Greatness. We then discuss a fantastic tweet by Kristen Hidalgo. How did the idea of turning into his father fit Luke? What should we ask people at the MN Science Museum’s Star Wars Day on Saturday? Nick from London joins us to give us some Celebration tips. Autographs and photo-ops are up for pre-sale! Here. Thanks to Roqoo Depot for the honorable mention last week! And sorry for butchering your name repeatedly in the outtakes at the end of this episode.